Blackmer Pump Company specializes in high-quality and efficient rotary vane, centrifugal, screw pumps and reciprocating compressor technologies for gas and liquid fluid transfer. Since 1903, the Blackmer brand has stood for supreme product performance, superior service and support, well-timed innovation and a commitment to total customer satisfaction. Our pumps and compressors are used in a multitude of applications in the process, energy, transport, and military and marine markets. 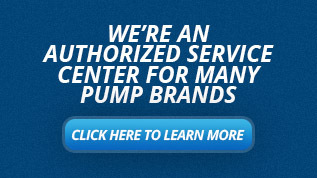 Every pump, every compressor, is supported by a worldwide network of distributors and original equipment manufacturers. With excellent service and superior product development, Blackmer Pump Company is committed to providing their customers with the utmost technical solutions for any chemical transfer application. We serve every industry including process, energy, transport, and military & marine. 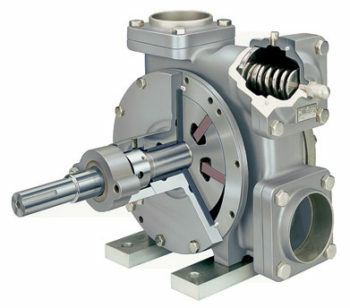 These pumps have a number of vanes that are free to slide into or out of slots in the pump rotor. When the pump driver turns the rotor, centrifugal force, push rods, and/or pressurized fluid causes the vanes to move outward in their slots and bear against the inner bore of the pump casing forming pumping chambers. As the rotor revolves, fluid flows into the area between the vanes (pumping cambers) when they pass the suction port. This fluid is transported around the pump casing until the discharge port is reached. At this point the fluid is squeezed out into the discharge piping. TX/TXH: Cast iron transport pumps for clean, lubricating liquid petroleum products, biofuels or solvents. Blackmer System One Centrifugal pumps are heavy duty ANSI pumps designed for low maintenance in the toughest and most demanding applications. The design is built around the seal and bearings, where 90% of pump failures occur and with heavy duty bearings and shaft, the combination creates one of the longest lasting pumps in the industry. System One buts have many different material combinations and seal options to fit almost any application. Frame S Centrifugal Pumps: The Frame S Pump is the heavy duty alternative to standard small frame pumps which can easily become overstressed when operated off the best efficiency point of its performance curve. The Frame S Pump provides mid-frame strength and reliability in small frame space. It can be installed in the same space, on the same baseplate, and with the same piping as conventional small frame pumps. 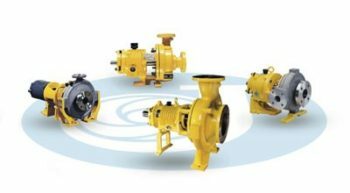 Frame A Centrifugal Pumps: System One Frame A Pump is the pioneering process pump with the built-in technology to get the most from seal and bearing life. LD17 Centrifugal Pumps: The LD17 Pump’s solid shaft (no sleeve) conquers vibration and greatly extends seal, bearing and shaft life. It resists the forces of destructive vibration far better than any other general process pump, reducing costly shutdowns. Its oversized angular contact thrust bearings are standard for high thrust capability and eliminate any axial movement of the shaft. With minimal bearing overhang and the lowest L3/D4 stiffness ratio in the industry, the LD17 provides superior resistance to deflection. Available with C Frame Adapter, providing automatic motor alignment. Available innovative Retrofit Power Ends and Large Bore Seal Chambers bolt directly to existing pumps to provide greatly extended seal and bearing life. Vortex Centrifugal Pumps: The System One Vortex Pump provides a solution to difficult pumping problems such as sludges and slurries with large particle solids, materials with entrained air, stringy or fibrous materials. It is designed to fit the standard System One and LD17 Power Ends and includes all the features and benefits of our System One Pump. The single stage, reciprocating compressors create a low-pressure area in the pumping chamber when the piston moves from the highest point of the stroke to the lowest point. Gaseous product (at a higher pressure in the tank) moves into the pumping chamber. This volume of gas is then displaced when the piston moves to the top of the stroke. Equipped with high efficiency valves, ductile iron pistons, self-adjusting piston rod seals and other robust features, these compressors are designed to provide maximum performance and reliability under the most severe service conditions. They are also a critical component in the design of oil and gas vapor recovery units (VRUs). Sliding Vane hand pumps have the ability to be positive displacement, self-priming, and non-pulsating flow pumps that be turned by hand. Models ranging from standard sizes 210A, Class I & Class II handing F210A, viscous fluids 414B, as well as increased output 828B all for safe & controlled hand pump transfer applications. 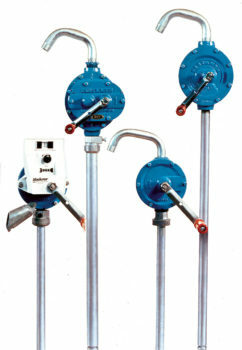 Blackmer has seven pump models of their hand pumps to meet all viscosity, flow, and varying application requirements.